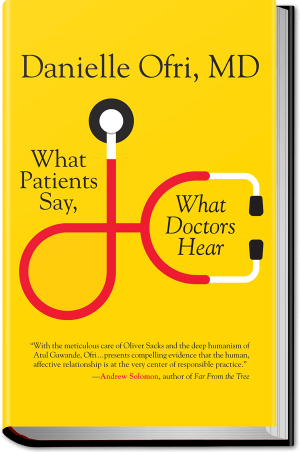 Danielle is interviewed by Brian Lehrer on WNYC Radio about having empathy for undesirable patients. Doctors have notorious contempt for alcoholics, drug addicts, and morbidly obese patients, and they often make little effort to conceal it. By unspoken rules, these patients are considered fair game for jokes by medical personnel at all levels. Hospital slang for such patients reflects not just disgust but also anger and resentment regarding illnesses that are perceived to be self-induced. It’s not uncommon to hear an obese patient referred to as a beached whale, or a homeless alcoholic called a shpoz or dirtbag. 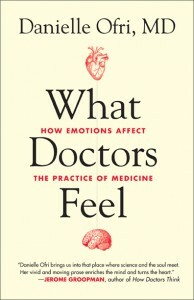 Physicians are the products of an educational system that demands years of self-discipline and delayed gratification. Despite the knowledge that addiction and obesity have at least some biological components, many doctors still unconsciously—and often consciously—view these conditions as purely a result of sloth, self-indulgence, greed, malingering, and apathy. Respect and appreciation for the ravages of these illnesses—especially when the patients themselves often appear not to—is more than some physicians can muster. There’s no doubt that patients with addictions are probably the most difficult type of patients to work with. Beyond the biologic components of their illnesses, these patients are often saddled with complex overlays of depression, childhood mistreatment, sexual abuse, socioeconomic ills, and personality disorders, not to mention a fragmented medical system with meager options for treating addiction. Whatever inroads a doctor, therapist, program, or the patient herself might make is handily inundated by the multitude of counterforces that seem to conspire against successful treatment. It’s no wonder that doctors-in-training rapidly assume a nihilist attitude toward addicts and invest as little as possible in their care. The residents and students that we train at Bellevue Hospital see so many alcohol (ETOH, or ethanol) withdrawal patients that these cases cease to have any individuality. If the admitting diagnosis is ETOH WD, the team typically takes a cursory history and then just dials up the benzodiazepines until the shakes subside. The days are counted until the patient can walk steadily and thus be discharged. Attempts at drug-rehabilitation referrals are halfhearted at best. Empathy is in short supply. It’s not hard to see why otherwise conscientious and empathic young doctors behave this way. The ETOH-WD patients are typically surly, smelly, and demanding. Nearly all of them march right out of the hospital to their next drink and then get readmitted two weeks later. Many of these patients sport records of multi-city tours of rehabs, all of which seem to have amounted to nothing. Quite a few are skilled manipulators for oxycodone and Valium. Many have managed to obtain public assistance or disability but appear to do nothing but drink or take drugs. It is easy for doctors—who usually approach life with a pull-yourself-up-by-your-own-bootstraps attitude—to become resentful and disgusted by these seemingly parasitic, self-serving moochers. John Carello was one such patient I took care of several years ago. The resident on my team announced our new admission by drily stating that this was Mr. Carello’s fifty-seventh admission to Bellevue Hospital. Every admission was for either overdose or withdrawal from opiates—heroin or oxycodone. Today was an overdose, and the official treatment plan consisted of letting Mr. Carello sleep it off. I scanned the voluminous chart; it looked as though each resident had simply copied the medical history from the prior admission, and it was hard to blame them because nothing really changed from one admission to the next. For teaching rounds each day, the team would pick one or two of our new admissions for us to review in depth, and usually they selected the most unusual case, the most interesting case, or the sickest patient. As a challenge that day, I suggested that we discuss Mr. Carello for rounds—arguably the most boring admission on the service. I was also challenging myself, as the attending, to find teaching points in even the most ordinary of cases. I took the team to the bedside, wondering if I was making an enormous mistake that I would later regret. I had an image of a grouchy patient rambling on about nothing, unwilling or unable to answer any questions accurately. I could envisage the team shuffling their feet, grimacing at the putrid odor, surreptitiously glancing at their to-do lists, wishing they’d brought coffee, counting down the minutes until I released them from this torture, thinking up ever more scathing comments to write in their end-of-rotation evaluations of me. Mr. Carello, a forty-nine-year-old white man, appeared exactly as billed—disheveled, unshaven, glassy-eyed, with the characteristic beaten-down-by-life look. His skin had the pallid, pasty look of worn-out china. I tried to gather as many chairs as possible so that we wouldn’t be hovering over him, but there were only a handful. The medical students were stuck squashed against the back wall. The interview did not start out promisingly. Most of my questions were met with one-word answers or grunts. Mr. Carello could cite the standard data—stints at rehab, assorted methadone regimens, prison terms—but the facts blended into a bleak, familiar tableau. Though I kept my gaze directed at Mr. Carello (who in turn stared mainly at the ceiling), I could sense a restlessness around me as my team began to lose focus. I was neither connecting with the patient nor educating my trainees. It was just the morass of addiction—never-ending for the patient, never-ending for the medical team. Though I kept up the earnest questions and the concerned tone of voice, nihilism steadily crept up on me. Mr. Carello hoisted himself up onto his elbows and looked at meas though he’d only now noticed someone at his bedside. He squinted, extending the shadow of his brow farther down along his ashy cheeks. From his angled perch he cast a sweeping glance at the semicircle of white-coated doctors around his bed. The shuffling halted. “When I got addicted?” he asked, focusing again on me, his jaw starting to move left and right like he was weighing the question. I wasn’t sure if this was an unfair question, given his years of addiction, the scores of dramas large and small, the muddles of drug-addled memories, the blackouts beyond recall, but I let the question hang in the air while he pondered, masticating in silence. He hitched himself up a few degrees more, clamped his lips, then released them. His jaw was less fidgety once he started to speak. “Oh yes,” he said, “there was an exact moment.” His voice narrowed, gaining more focus as he spoke. “It was early April—I know because those trees that are everywhere in the city had their white blossoms. Looks like snow on the trees for about two weeks, until all the leaves come out and then they’re just ordinary trees. “Anyway, it was early April, and I was driving north on the Henry Hudson Parkway in this old Nissan I’d bought from a construction buddy. I was driving up toward Yonkers, to a barbecue my brother was hosting for his kid’s birthday. The trees were full of snow on both sides of the parkway. Like the Christmas display at Macy’s.” He paused for a second, perhaps savoring the recollection, perhaps straightening out his chronology. “Then all of a sudden, I needed a hit. It came on a like a tidal wave, but I needed it and I needed it now. But more importantly, I wanted it. I wanted it more than anything. I wanted it more than seeing my brother, more than seeing my little nephew. At that moment, it was the only thing in the world for me.” Mr. Carello paused, and his jaw resumed its jerky, side-to-side swing. I wondered if it was a muscular tic, maybe a side effect of his drugs or one of the many psych meds he’d received over the years. The room was pin-drop silent after that. The interns and students seemed frozen in place. I, too, was riveted by the specificity of the memory, of the tangible scene he created. I imagined that each of us in the room was envisioning what it would be like to sit in that car and feel mysterious and inexorable forces turning it around, to feel entirely powerless to control events. After our interview, we filed out of Mr. Carello’s room and regrouped at the end of the hallway. The change in the team was palpable. For the first time, we had some insight—even if slight—into what Mr. Carello’s life was like. It was the genesis of true empathy. To be given the chance to slip into his shoes made us view our patient differently. After that, there was no further eye-rolling or off hand disparaging comments when we discussed his case. Team members stopped in his room more frequently to chat, and he in turn was far more cooperative and pleasant. This nascent empathy surely wouldn’t eradicate the years of addiction overnight, but it’s hard to imagine that his illness would have a chance of remitting without it. 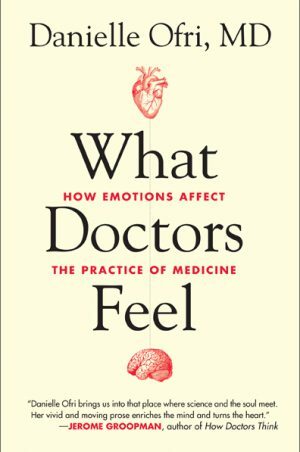 (Excerpted by WNYC Radio from by Danielle Ofri, MD. Copyright 2013. Excerpted with permission by Beacon Press. 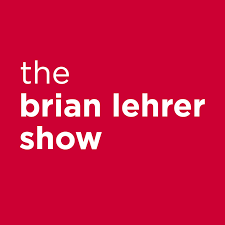 Listen to Danielle interviewed by Brian Lehrer on WNYC Radio).